Home Cure Highgate plumbers provide all customers with a fantastic and quick service no matter what the problem is, they are highly qualified, have a vast amount of experience and are very reliable. Some of our plumbers even have specialist traits which mean that they have even more experience and knowledge than others. The plumbers in Highgate that we send you will have a great knowledge of the local area as the plumbers for this area live in and around N6 London, therefore will never have a problem knowing where you live or sourcing parts locally fast. All of the plumbers who work at Home Cure will turn up on time and will not charge you for any sort of call out no matter what the problem is. As well as this we charge excellent prices and have a very high customer satisfaction rate and are very highly recommended throughout North London. So whether it is a leaking tap, clearing out your blocked drains or fixing your boiler contact Home Cure today as we can send out a highly dedicated professional plumber Highgate to fix all of your problems with absolutely no fuss. Before our plumber leaves they will ensure that all problems are fixed to your satisfaction, so you can be sure all the problems get done right the first time. No Call out charge for booking a Highgate Plumber just a clear and simple method of charging, see our charges page for more information on charging. 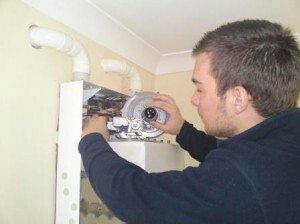 We provide a great service and very reasonable prices for anyone booking a Highgate plumber. Home Cure has provided Highgate plumbing services for some time and continues to build its name and reputation in the area. Any Plumber working for Home Cure in your area will be fully qualified and experienced to work on a wide range of domestic plumbing and heating system’s.